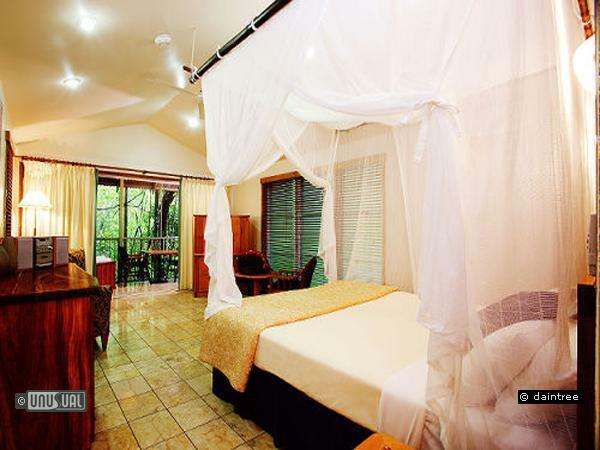 The Daintree Eco Lodge & Spa - offers award winning, unique tree house style resort accommodation in the heart of the Daintree Rainforest World Heritage region. 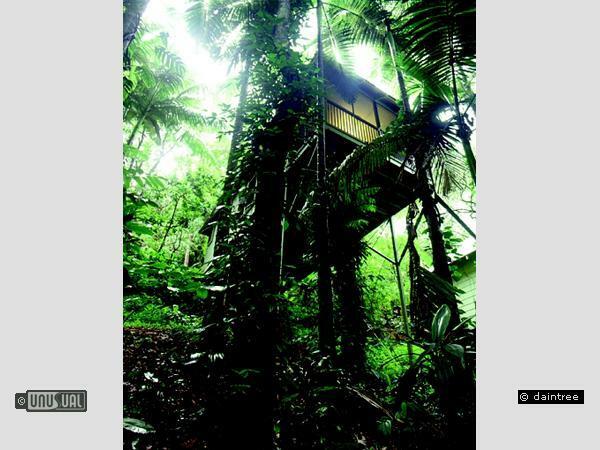 Only 15 tranquil rainforest villas occupy secluded positions amongst the world's oldest living rainforest... reinforcing the impression of being 'at one with nature', yet still providing all the creature comforts of a boutique retreat. The area is estimated to be 135 million years old and is the oldest living tropical rainforest on earth. 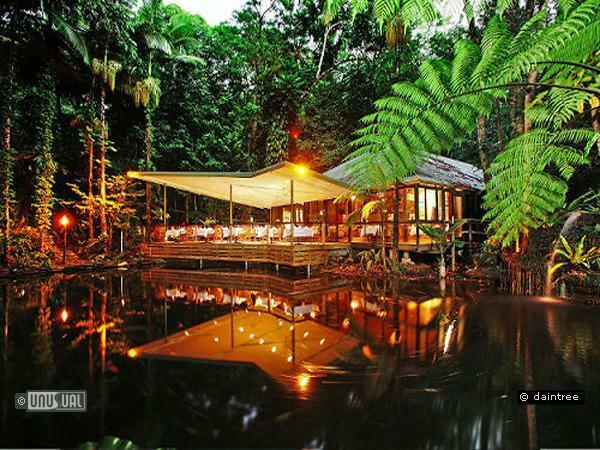 It is one of the most diverse and beautiful examples of Mother Nature in the world, home to a large range of plants and animals, and all are found within the largest chunk of rainforest in Australia - an area spanning approximately 1200 square kilometres. The Daintree Rainforest contains 30% of frog, marsupial and reptile species in Australia, and 65% of Australia's bat and butterfly species. 20% of bird species in the country can be found in this area. And it all lives in an area that takes up 0.2% of the landmass of Australia. With approximately 430 species of birds living amongst the trees, there are 13 species that are found nowhere else in the world. 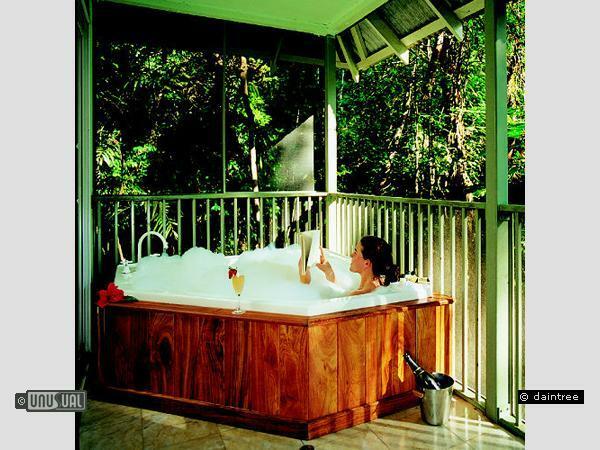 Just 40 minutes drive north of Port Douglas on Australia's Great Barrier Reef and 90 minutes from Cairns International gateway.